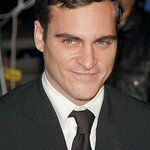 Joaquin Phoenix returns to the public after a 6-month absence and joins Miley Cyrus and Liv Tyler in a YouTube video for To Write Love on Her Arms, a charity to help individuals who suffer from depression, addiction, self-injury and thoughts of suicide. TWLOHA was competing to win an on-line contest for a $1 million grant to fund their suicide prevention movement. They finished third in their bid, but are now encouraging people to vote for Invisible Children for the final prize. A clean-cut Joaquin, 35, appears in the 4-minute video that opens with him and charity founder, Jamie Tworkowski, explaining how Phoenix inspired him to come up with the name of his cause. “In January 2006, I was invited to a set of a music video. This guy (Joaquin) was directing the band “She Wants Revenge.” I did not meet him that day, but he had “crap” scribbled in magic marker on his arms and it struck me as strange…yet it was bold and it kind of stayed with me." A little later in the video Miley Cyrus explodes into the picture and teaches Joaquin how to vote for TWLOHA’s on-line campaign using an Apple laptop. Actress and ex-girlfriend Liv Tyler appears next, and Joaquin passes his internet training onto her. The video is highly entertaining and it’s all to help prevent over 800,000 Americans from attempting to commit suicide. “To Write Love on Her Arms” website also includes an informative video that promotes suicide awareness with James Earl Jones lending his famous voice as narrator. Mr. Jones reveals in this video that 32,000 people a year will succumb to suicide. Please visit the TWLOHA website and click on the VOTE button to help.